There is widespread concern about the influence of human activities on the chemical composition of the earth atmosphere including their effects on human health (WHO, 2006). The processes that control the composition of the atmosphere are still not fully understood or quantified, but it is clear that trace gas emissions are primary drivers of changes in regional air quality. Observed trends of precursor gases that lead to tropospheric ozone and secondary (organic and inorganic) aerosol formation are changing rapidly in Europe and the impact of human activities on trace gas fluxes is expected to increase due to the high rates of population growth, economic development and land-use change. Technological advances have been successful to mitigate air pollutants in some areas and for some compounds. For example, in Western Austria, aromatic VOCs (e.g. BTEX), CO and aerosols (PM2.5 and PM10), have seen a trend reversal, where immission levels have considerably decreased, despite increasing traffic volume and population growth. Yet, the concentrations of certain compounds, for example nitrogen dioxide (NO2), which is an air toxic and contributes to tropospheric ozone formation have not exhibited such a trend reversal. NOx has many sources in the troposphere, but is believed to be mainly emitted from various combustion sources in urban environments. Emission inventories of stationary and mobile sources are still highly uncertain and often hard to assess. Here, we propose to provide an important novel and complementary aspect for conventional urban air quality management systems by further developing the concept of urban trace gas flux measurements, allowing to provide unique top-down constraints for important urban trace gas emissions in Innsbruck. 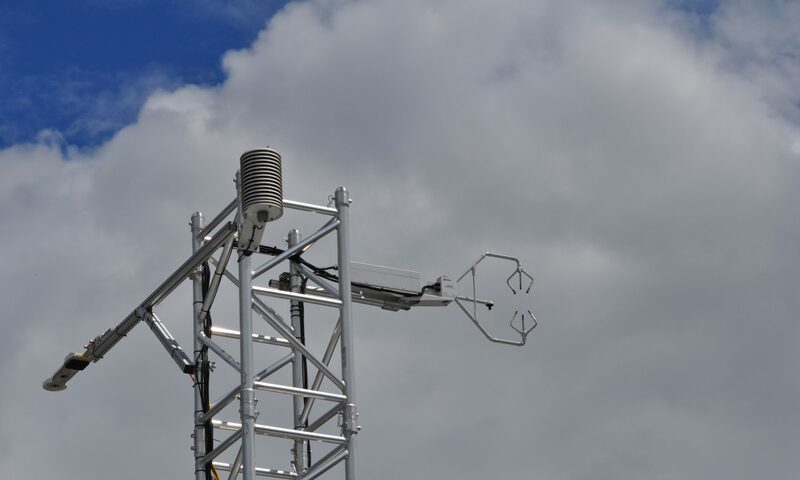 The project aims at eddy covariance measurements of NO2, NO and CO2, helping to elucidate the magnitude of urban fluxes of these important trace gases. These measurements will be compared with the most commonly used pollutant emission inventories implemented in state of the art air quality models. Deviations between model and measurements will be indicative of unknown or poorly quantified urban sources. A combination of long-term measurements and intensive field campaigns will be used to test bottom-up emission inventories and examine trace gases fueling local ozone production. The goal of the project is to provide essential constraints for air quality models and local air quality decision systems.